We offer a comprehensive service for damp proofing, dry rot control, basement water proofing, and condensation. If you suspect your property is being affected by any of these then call us now on 01274 224742 to arrange for our qualified remedial surveyor to visit and carry out a FREE survey. You will then be provided with a detailed report/quotation which will list any problems and any proposed remedial works. We cover the whole of Bradford, West and North Yorkshire. Rising damp is caused by a lack of effective damp proof course (dpc). It is generally identified by moisture meter readings found at the base of an affected wall. It can also be identified by visible damp patches appearing above the skirting boards as well as hygroscopic salts appearing on the walls surface. The remedy for a rising damp problem depends on the wall construction type. At Clemans Property Care we use a low pressure chemical injection method in conjunction with an anti-sulphate if suitable. If this method is not suitable we will then use a tanking system. Both methods use chemicals provided by Sovereign Chemicals. Condensation occurs when high levels of moisture in the air within a property come into contact with a cold surface such as a wall or a ceiling. These cold spots are an ideal habitat for several species of mould. You may have noticed these areas of dark mould yourself. They are most commonly found on the external facing internal walls and ceilings of bedrooms, bathrooms and kitchens but can appear and spread to pretty much anywhere, eg, windows, doors, furniture even cloths. 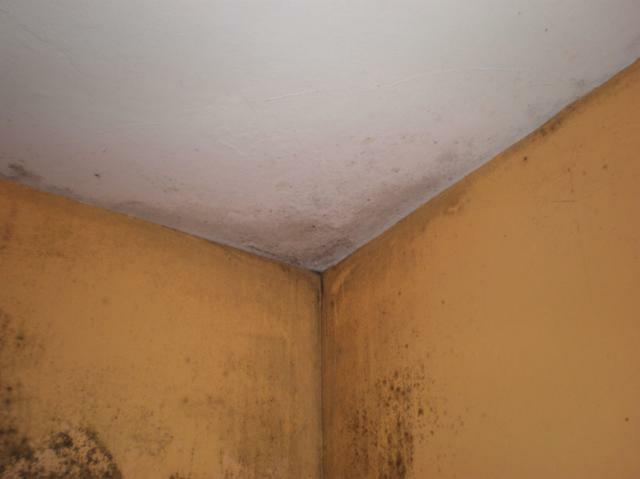 This mould is not only unsightly but it also has a strong pungent odour which is quite unpleasant. You may have also noticed that no matter how many times you clean the mould off, it always returns. This is where we come in. 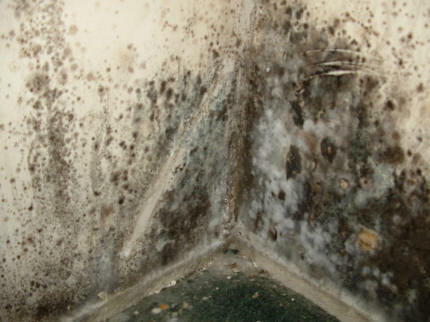 To rid a property of these types of mould growth we can carry out a 3 or 4 stage treatment. This consists of the application of 2 specialist chemicals onto and around the affected area. The first chemical kills the mould and spores, the second acts as mould resistant layer on the surface. The third stage is the application of a anti-fungal paint on the affected area. A 4 stage treatment is used when the surface has a wall or lining paper applied to it and the extra stage is the removal of the layer/s of paper, which is a necessary process to effectively prevent the return of the mould. Although these chemicals will prevent the mould growth returning they will not stop the condensation problem. The main causes of condensation are inadequate ventilation and the living habits of a property's inhabitants. If your property is suffering from a condensation problem then call us and we'll send our surveyor to carry out a FREE survey. To remedy the problem may also be free of charge if it is just simple a case of a small change of lifestyle which is required. Our surveyor will give you honest, friendly, impartial advice on what is needed to remedy any problem. 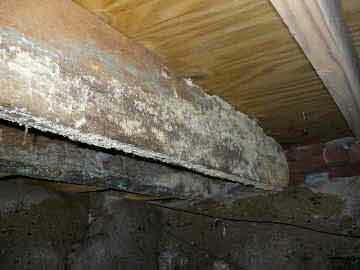 Wet rot is as the name suggests a fungal rot caused when timbers develop a high moisture content. Unlike dry rot though it is confined to the area where the moisture level in the timbers is high. So it is generally much less expensive to eradicate than dry rot. Primarily we need to carry out a survey to determine the cause, the extent of any damage, which rot is present and what remedial action needs to be taken. The first thing we do is stop the water that is causing the rot. So the initial works are building maintenance & defect repair works. Generally we try to retain as much of the original timber as possible, so in cases where damage is only minor and no structural damage has been caused we treat the timber with a fungicide which will protect any timbers against further decay. When dealing with more severe cases the affected timbers will need to be removed & replaced and this is usually sufficient in preventing any future re-occurences. Dry rot fungi is the most serious type of timber decay found within buildings as it has the ability to cause rot at a much lower moisture content and can grow through masonry and behind plaster and can spread rapidly through a building if left untreated. Because of this, treatment is usually costly and complicated. As with wet rot, our surveyor will need to carry out a survey to determine the spread of the fungi and determine what remedial action needs to be taken. These surveys will require the surveyor to have access to the entire building and he may need to pull up floor boards and remove plaster & other internal features to determine the scale of the problem. Once the scale of the problem is determined we can then begin to treat the affected areas with a fungicide. The fungicides we use are almost all water based and do not produce harmful fumes. To treat the problem fully may require the removal of wall and ceiling plaster so as to fully expose the fungi and prevent it returning. When the necessary amount of fungicide has been applied we will then need to remove any seriously affected timbers and replace them. This will be all noted in the surveyor's report. 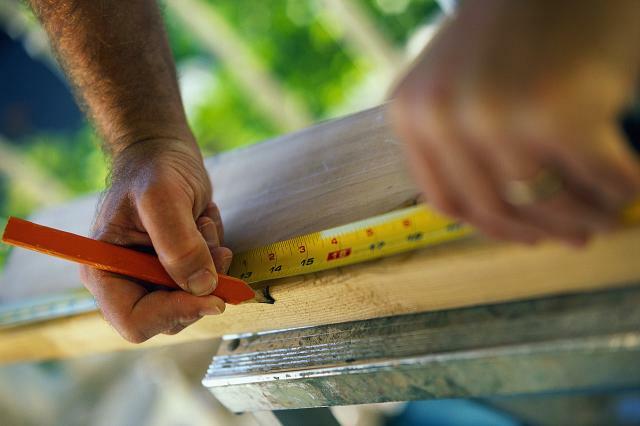 All CPC Timber and Damp treatments come with a fully insured guarantee of up to 30 years. Meaning that should a problem re-occur during the guarantee period and if we're no longer trading, you can relax in the knowledge that you are fully covered and any problem will be rectified at no cost to yourself.